Clay Mahn’s understated exhibition, “Autoportrait,” includes three abstract paintings that share the show’s title. “Autoportrait B” is a medium-sized canvas with a white background. A straight black line about a half-inch thick traces the inside of the canvas’ edge. The line then continues more than halfway up the center of the picture, wobbling ever so slightly as it does. 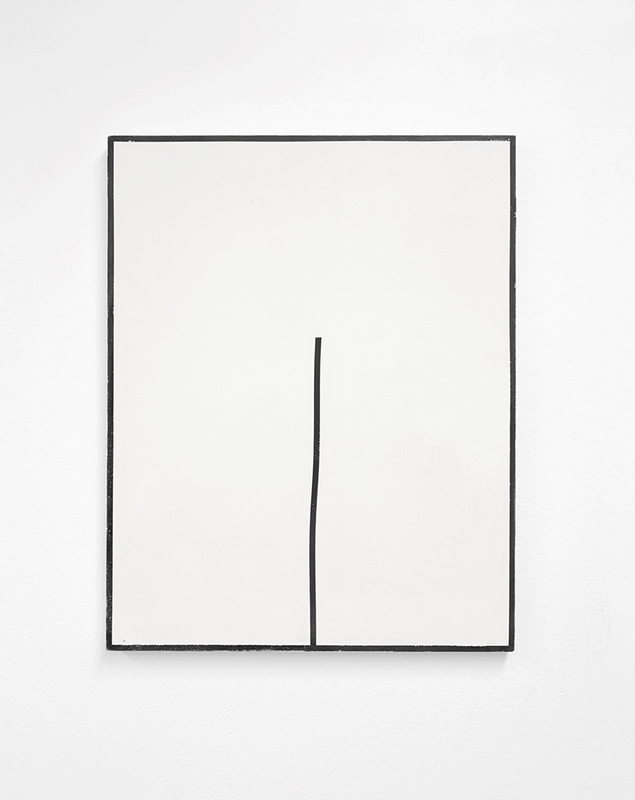 The other two paintings in this series contain similar minimal arrangements, though their lines vary in thickness and tone, and the runaway line may sneak down from the top of the canvas or divide into two loose ends. It is not immediately obvious how these demure paintings act as portraits. Mahn’s modest palette of mainly greys and whites allows one to focus on his lines. They are so even that they almost look printed. Mahn’s use of a pallet knife makes for a very smooth stroke, disguising his hand. Yet, upon a closer look, several characteristics emerge that complicate the seemingly neutral spaces within the outlines. Hints of color appear from beneath the layers of paint. Darker speckles emerge resembling dust. What looked at first to be empty space is actually filled with depth. These traces appear as Mahn lightly sands his final coat of paint, wearing down the top layer to reveal marks and bumps hidden under the surface. Texture and temperament do not occur through the brushstrokes, but instead, through the build-up—or breakdown—of layers. Three cement installations reiterate the subtleties of the paintings’ layers. 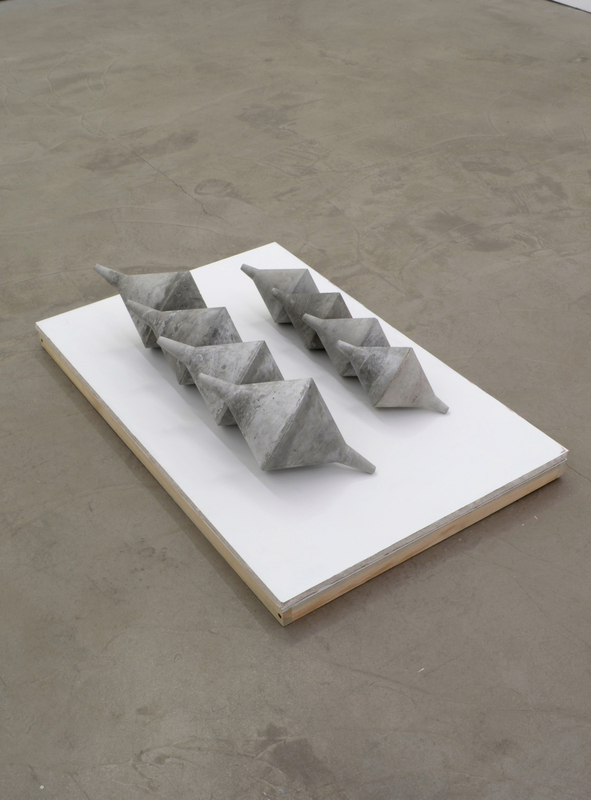 Each installation includes several reproductions of a geometric form. One can see minor differences in the tone of the cement or the precision of the casting, but since the groupings lay on the ground, certain angles remain hidden. Next Post How Can Object-based Archaeologies of Gendered Oppression Help Us Better Understand Our Present?